Hi, I hope you're enjoying the previews. 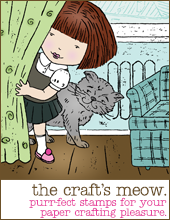 It's day 3 of The Craft's Meow June release previews and today we're having a look at Sweet Memories designed by Nina B Designs. 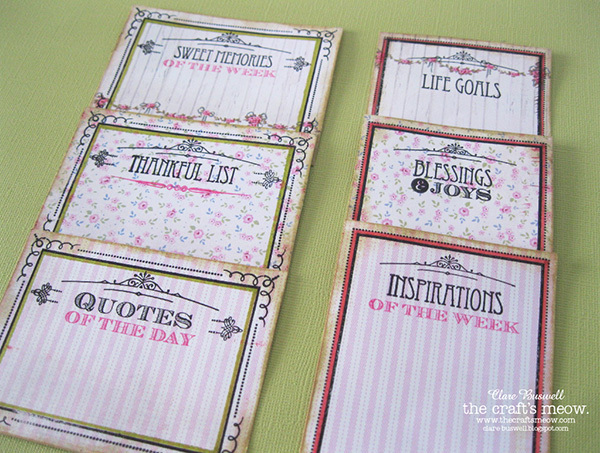 Now this set has been specifically designed for Project Life but just to show you that you can use the gorgeous frames on a card, I thought I'd show you a card first. 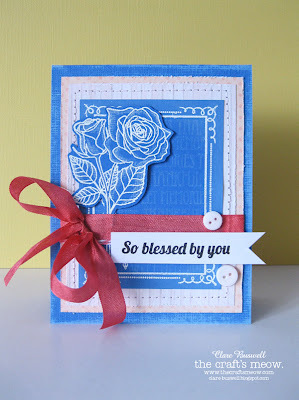 I used Beautiful Rose from day 1 preview on my card also. 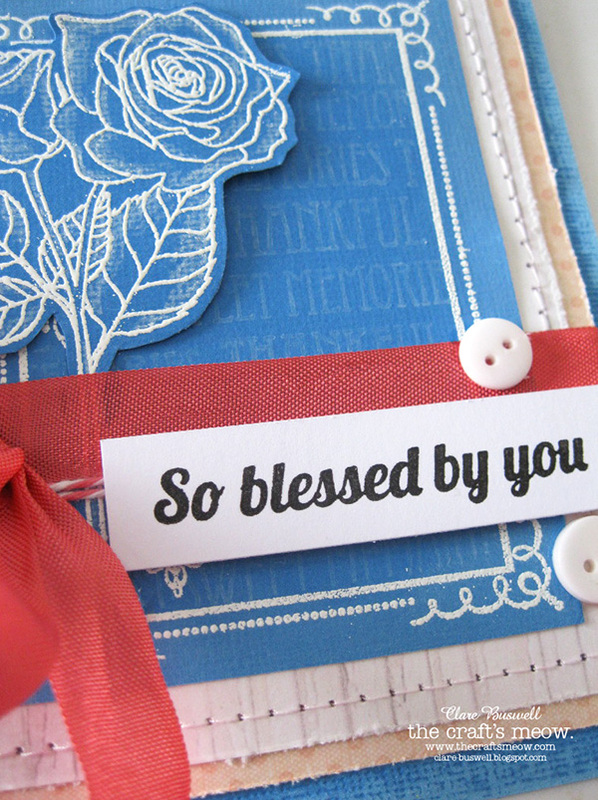 I embossed the frame from Sweet Memories in white onto some Core'dinations cardstock and did the same with the roses from Beautiful Rose. I used some of the text stamps to stamp the background of the frame using white ink. The sentiment is from Beautiful Rose. Here I stamped the frames from Sweet Memories onto patterned paper to use in Project Life. You've a whole selection of text stamps to add to your cards. I added an extra line of color on the inside of the frame just using a ruler and a Distress Marker. 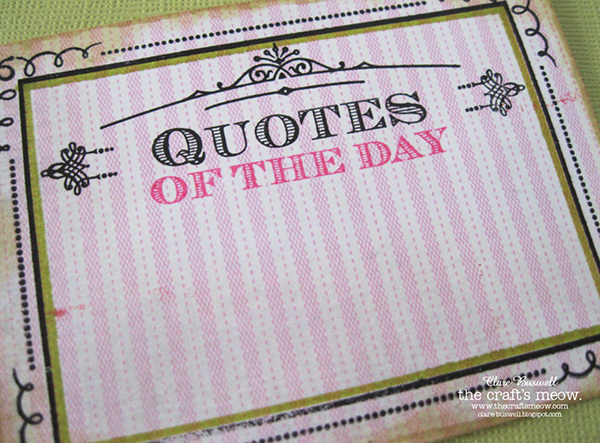 I love the font Nina used in this set, it's just gorgeous! Remember to leave a comment on The Craft's Meow Blog to be in with a chance of winning a stamp set, the deadline to comment is 8pm PDT. Don't forget to check out what the rest of the team created. Thanks for dropping by, I'll be back tomorrow for day 4 of previews! Your blue card is just beautiful!! the white embossing on the blue is so striking!! Love the cards. The embossing is wonderful. The stamping on the patterned paper is cool.